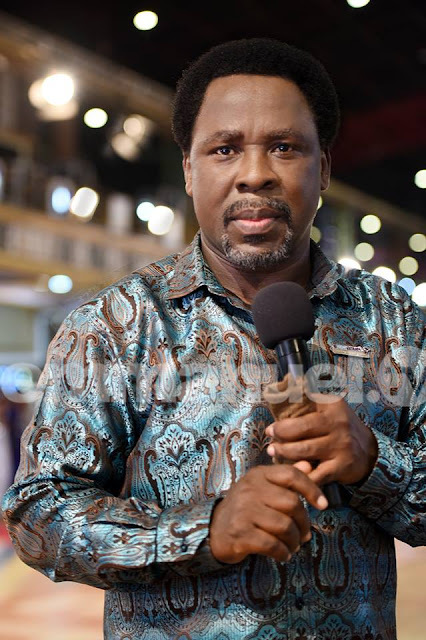 TB Joshua prophecy on American election drew a lot of criticism and mockery from Nigerians.They called him a false prophet for falsely predicting that Hilary Clinton will win the US elections.The post which was proudly sitting on his Facebook page was swiftly taken down and we heard nothing from the man of God for so many days,even though Nigerians kept goading and asking for a reaction on social media. It didn't happen and she didn't win.So what is there to understand? We have seen the outcome of the election in America. Having read, you will notice that it is all about the popular vote, the vote of the majority of Americans. Did he not see in the dream he had that she will get the popular votes but not win the election? As you can see from the post above,he clearly said"what i frankly saw is a woman" So Donald Trump is either a man in disguise and maybe he will reveal his true identity as a woman on the day he is due to be sworn in as president. These people are jokers and the earlier the people will realise that these men are nothing but very bad charlatans,the better.But will that happen?Well,it's a big fat NO. THE PROBLEM IS PEOPLE ARE NOT PREPARED TO TAKE RESPONSIBILITIES OF THEIR OWN LIVES AND BE PROACTIVE.We would rather think it is an evil force stopping us from getting that promotion at work,instead of stopping and examining our input at work. The TB Joshua Hilary Clinton prophecy is another plain proof that Joshua is a hit and miss prophet who just capitalizes on peoples misery.But sadly those looking for a quick fix and fantasy will fail to see this. God bless the United States of America."